The Irish Immigration Center is a place for Community - Connections – Culture – Comfort and Consular Support. We are excited to introduce a new monthly giving program and ask you to consider supporting the Irish Immigration Center on a monthly basis in 2018. Here are 10 reasons to give a suggested $10 a month; 10 Reasons to give $10 a month to the Irish Immigration Center. 1. We provide a home away from home for the Irish Community in Philadelphia. We help bring people together! 3. We offer services and support community open up to groups that both enrich and keep the community healthy. -We do this by helping Irish organisations/groups in our area by providing meeting space, resources, support, and partnership opportunities to diverse community groups such as; a genealogy group, the GAA (Gaelic Athletic Association) and the Solace House Suicide Awareness and Prevention committee. 4. We connect with all aspects of the Irish Community – culture, language, business, sport and government. - The Center is a central hub in the Irish Philadelphia community – connecting leaders from various Irish organizations and hosting joint Irish Philadelphia community events. These connections; help new immigrants find work and work and necessary services, as well as establish their own networks. establish their own networks. - Act as a liaison with the Irish government and connect high-level Irish politicians and diplomats with the Irish community. -We organize social, cultural and educational events for this group, including day trips, guest speakers, music, films, trivia, bingo and health screenings. 6. We host a Foróige Youth group that aims to foster a sense of Irish identity and heritage for the next generation of Irish Americans in Philadelphia, while also promoting civic engagement and providing leadership opportunities. 8. We provide information, guidance and referrals to hundreds of people on the U.S. Immigration Systems. - We help eligible Irish-American’s apply for Irish Citizenship and passports and we help eligible Green Card holders apply for U.S. citizenship. 9. 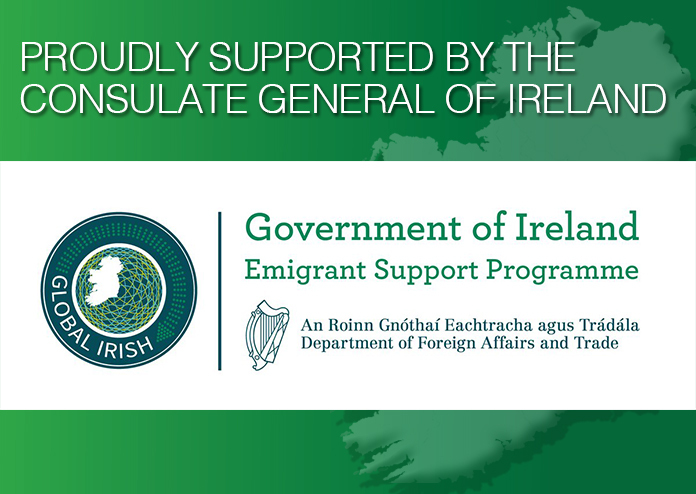 We provide consular support to hundreds of Irish citizens; renewing Irish passports, applying for the first time and providing assistance with emergency travel situations. 10. We provide comfort, guidance, and counseling to those in need of support. Set up your monthly gift in 2 simple steps! Click "Donate", then click “Recurring”, select the amount you want to give, and follow the steps to enter your debit/credit card information. Alternatively; complete the form overleaf and sign the authorization below and we can set it up for you. Cash or Checks are also welcome as a method of payment on a monthly basis.